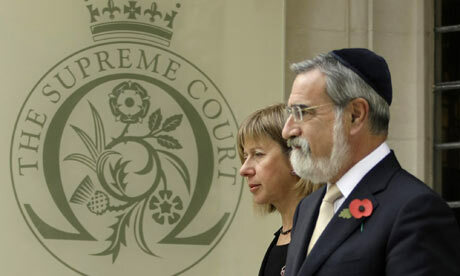 The JFS case is the first really high profile case before the Supreme Court and to reflect its status, Joshua Rozenberg has a close commentary of the first day on his blog. He notes in particular that Lord Pannick for the school masterly fielded questions from the nine judges on both English and Jewish law. However, there was no indication as which may the Court may be leaning. Both Frances Gibb in The Times and Jane Croft in the Financial Times discuss Lord Pannick QC’s speech to the Court. Leave a reply on "JFS first day [updated]"